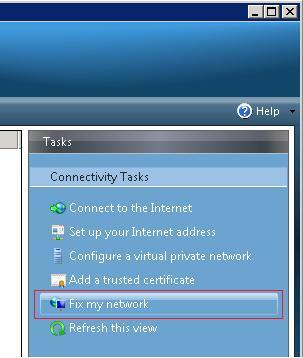 Today I discovered the usefulness of the “Fix my network” wizard in Windows SBS 2008. 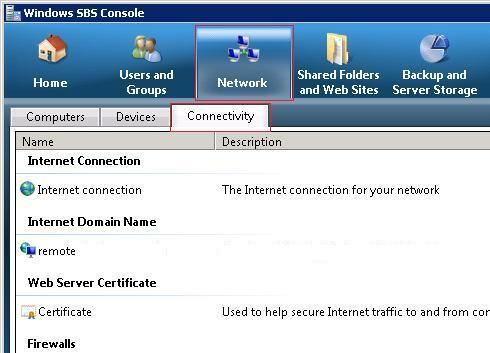 You access it by opening the Windows SBS Console, Clicking on the Network tab, and then clicking on the Connectivity sub-tab. One of the tasks on the right panel will be the “Fix my network” wizard. This wizard contains around about 70 different fixes for various network / DNS / IP related issues. With SBS 2003, I often found that re-running the Connect to Internet Wizard on the many different SBS servers I worked with would solve problems experienced with DNS, DHCP, IP settings etc… Well with SBS 2008, it seems they have created this wizard solely for that purpose. Anyway I was having an issue running the Connect to Internet wizard on the 2008 machine today – I was getting a DNS error and the CTIEW would not complete. I ran the “Fix my Network” wizard and it found a problem with the DNS server (It had stopped – and I didn’t think to check this!) It also picked up that IPv6 for DHCP wasn’t configured (Not that I needed this). After completion, it re-enabled the service and installed the IPv6 DHCP range for me. Turns out that there was a conflict between the two servers that caused the DNS server service to stop. This is a very handy tool to use when short on time with SBS 2008 network troubleshooting and it is good to see MS implementing handy tools like this with their products – simple and functional!